Posted December 6th, 2012 by Dan - TexCom Technical Operations & filed under Features, How To. 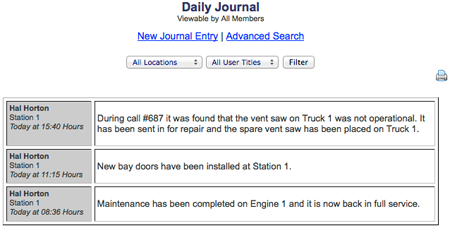 We are happy to introduce a new TexCom feature – The Daily Journal. As part of the daily operations within the fire service and beyond, many organizations maintain a daily journal of the days activities by recommendation of NFPA. These activities can range from calls responded to, maintenance performed, and unusual events that may have occurred. We are excited to have developed this highly requested feature for our users. 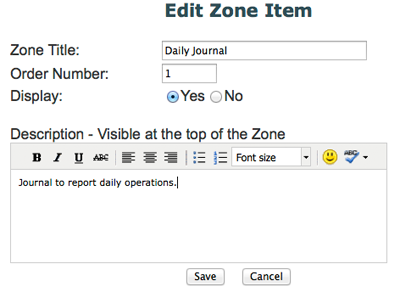 To start using the Daily Journal within your organization, navigate to the admin homepage and select Zones under the Zones heading and then select Add New Zone. Here you can enable the Daily Journal and set your title. Now you will see the Daily Journal you created in the list of Zones. Select the settings link next to this Zone and set the order you would like this displayed and set Display to ‘Yes’. Once you have enabled the Daily Journal, select the Daily Journal link under Zones on the left to start using it immediately. 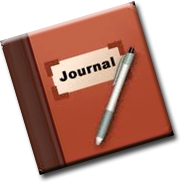 Here you can add new entries to the journal and view current entries. There are also several advanced search parameters to find previous entries quickly and easily. Be sure to try the Daily Journal in your Organizations and let us know what you think!